“Wagner’s mature operas have created an image of him as the high priest of a cult based on a severe sort of German aesthetic mysticism. But DAS LIEBESVERBOT (The Ban on Love), from 1836, provides rare insight into a period when he was a young man searching for both style and substance. 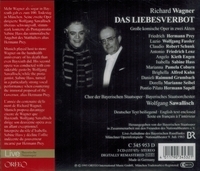 Loosely based on Shakespeare’s MEASURE FOR MEASURE, LIEBESVERBOT reveals a Wagner only slightly more than the sum of his influences. 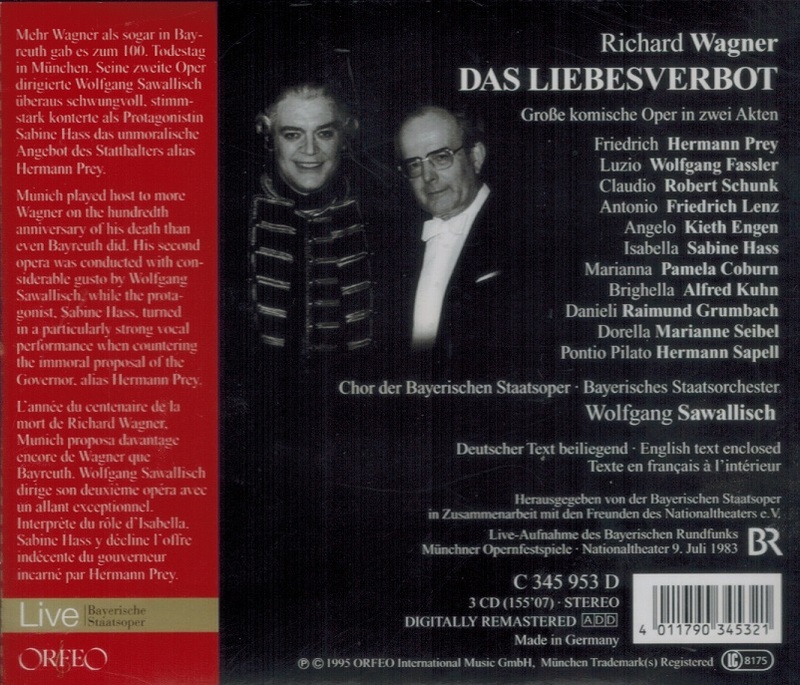 It mixes elements of the Italian bel canto and French opera styles, with touches of Mozart, Beethoven and Weber. 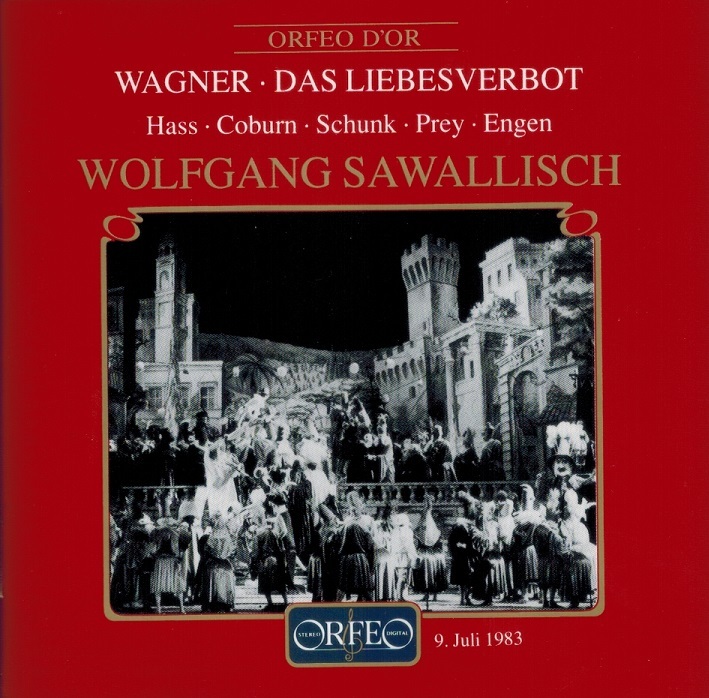 Yet despite those copious borrowings and an antic tone never again encountered in his work, LIEBESVERBOT unquestionably contains traces of the mature Wagner in embryonic form: in breathless string shimmers anticipating those of TANNHÄUSER and LOHENGRIN; in the simple melodic figure in the overture that serves as a leitmotif; and in the vocal heft of the principal female role. Portentousness lingers even in ribald scenes, auguring the grandiosity to come.